The below press release was written by the National Sustainable Agricultural Coalition (NSAC). MFT is a member of NSAC, an alliance of grassroots organizations that advocates for federal policy reform to advance the sustainability of agriculture, food systems, natural resources, and rural communities. Melissa Law of Bumbleroot Organic Farm asks congressional appropriators to support conservation, local/regional food, and beginning farmer programs that help producers thrive. 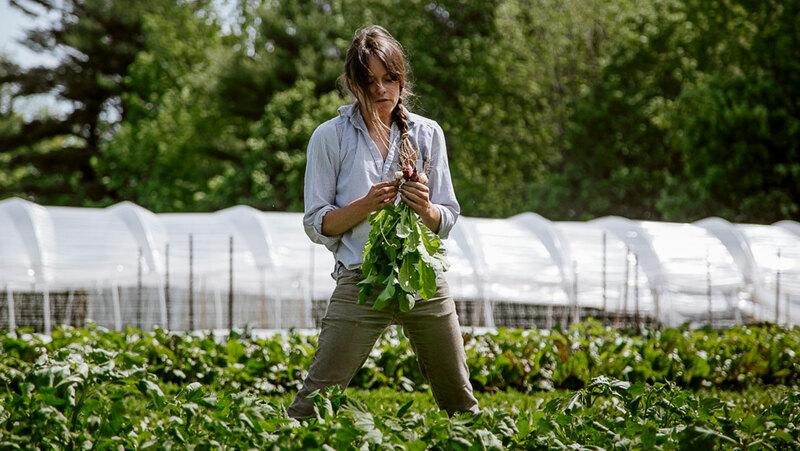 Washington, D.C., March 28, 2019 – Beginning farmer Melissa Law, in partnership with fellow owner/operators Ben Whalen and Jeff and Abby Fisher, are now entering their fifth growing season at Bumbleroot Organic Farm. By leveraging support from farm bill programs like the Environmental Quality Incentives Program (EQIP), Beginning Farmer and Rancher Development Program (BFRDP), and Sustainable Agriculture Research and Education (SARE) program, Law has been able to enhance Bumbleroot’s production of organic vegetables, flowers, and herbs by increasing both sustainability and profitability. This week, Law joined eleven other farmers and advocates from across the country in the National Sustainable Agriculture Coalition’s (NSAC) farmer fly-in event in Washington, D.C. In 2014, Law and her husband moved to Buxton, Maine to join Jeff and Abby in starting Bumbleroot Organic Farm. Together, the team grew vegetables and flowers on their small plot of land for two years. In 2016, the four were able to purchase an 89-acre farm in Windham, where they grow a wide variety of organic products. To learn the skills and access the resources they needed to get their farm started, Law and her partners took part in MOFGA’s Journeyperson and Farm Beginnings programs. The training programs were both made possible thanks to support from BFRDP, and taught Bumbleroot’s owners how to approach the business aspects of being a farmer and how to make a holistic plan that worked for their families and their values. Bumbleroot Organic Farm has also utilized the EQIP program to build high tunnels and extend their growing season – which is crucial for a farm that does most of its business through local and direct marketing channels – and is participating in a SARE grant project trialing cover cropping and tarping techniques. Protect vital conservation programs: NSAC urges Congress to make NO cuts to mandatory funding for the Conservation Stewardship Program (CSP), Environmental Quality Incentives Program (EQIP), or other USDA conservation programs. Provide $10 million for the Farming Opportunities Training and Outreach (FOTO) program, which houses the Beginning Farmer and Rancher Development Program and Outreach and Assistance for Socially Disadvantaged Farmers and Ranchers Program. Increase funding for the Sustainable Agriculture Research and Extension (SARE) program to $45 million. After several months of negotiations, the 2018 Farm Bill Conference Committee just released a final version of the bill that includes many of MFT’s priorities to better support farmers and farmland protection in Maine. Both the Senate (87-13) and the House ( 369 Y, 47 N, 17 NV) voted to pass the bill. 1. 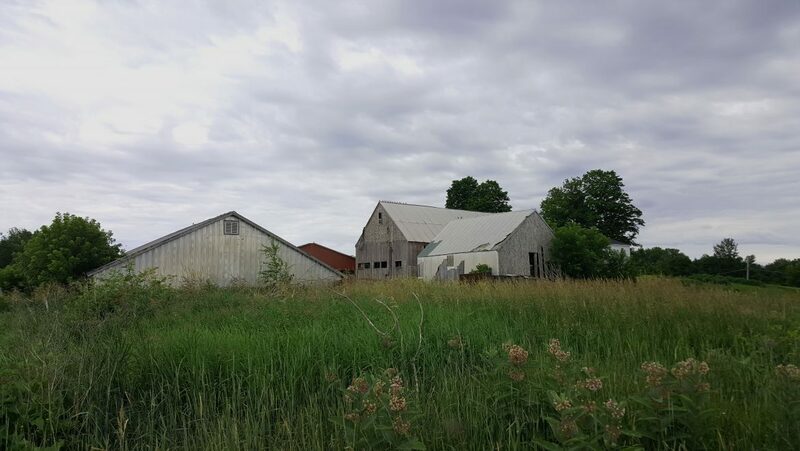 Maintain both the Senate and House farm bills’ increases in funding for the Agricultural Conservation Easement Program (ACEP) to support the placement of agricultural easements in Maine that protect farmland and make land more affordable for the next generation of farmers. Good: The final bill increases funding for ACEP to $450m/year. 2. Maintain the Senate farm bill’s increase in funding for the development of local and regional food economies through the establishment of the Local Agriculture Market Program (LAMP). Good: the final bill combines the Farmers Market and Local Food Promotion Program (FMLFPP) and the Value-Added Producer Grant Program (VAPG) with a new public-private partnership provision, creating LAMP, and provides the program with $50 million per year in mandatory funding. This funding includes $17.5 million per year in mandatory funding for VAPG, $23.5 million per year in mandatory funding for FMLFPP, and $5 million per year for the public-private partnership provision. 3. Maintain the Senate farm bill’s increase in funding for the Beginning Farmer and Rancher Development Program (BFRDP), which provides competitive grants to academic institutions, state extension services, producer groups, and community organizations to support and train new farmers and ranchers. 4. Reduce funding cuts to the Environmental Quality Incentives Program (EQIP) and the Conservation Stewardship Program (CSP) so that farmers have the necessary support to address natural resources concerns on their property while keeping their land in production. Mixed: the final bill increases funding for EQIP and CSP for the 5-year cycle of this farm bill (2019-2023), but includes major funding cuts for these working lands programs over the long term, particularly for CSP. 5. Maintain the Senate and House farm bills’ increase in funding for the Food Insecurity Nutrition Incentive (FINI) Program to increase access to local fresh fruits and vegetables for SNAP recipients, and expand markets for farmers. Good: the final bill reauthorizes FINI and provides it with $250 million in funding over 5 years. 6. Maintain the Senate farm bill’s Buy-Protect-Sell provision so that lands trusts can act quickly using ACEP-ALE dollars to protect vulnerable farmland and then sell the land to a farmer. Good: the final bill contains a Buy-Protect-Sell provision. 7. Maintain the Senate farm bill’s increase in funding for the Organic Agriculture Research and Extension Initiative (OREI), which supports research projects that address the most critical challenges facing organic farmers. Good: the final bill increases OREI funding to $50 million per year in permanent baseline funding by 2023, providing a total of $395 million in funding over 10 years. 8. 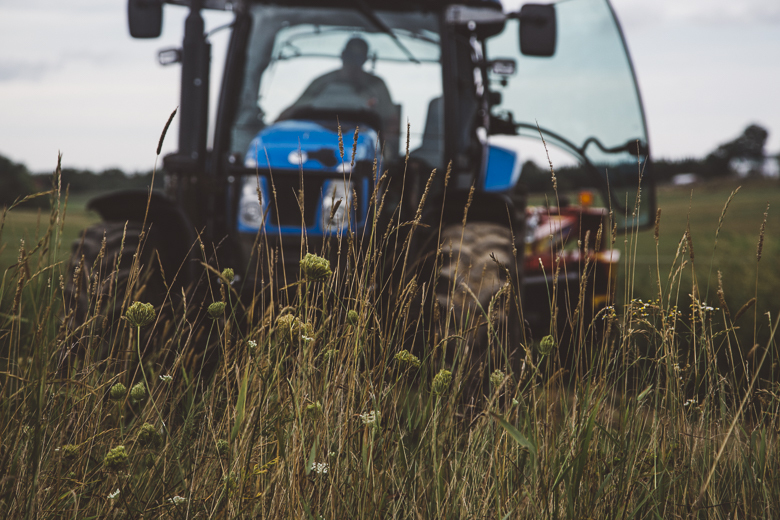 Maintain the Senate farm bill’s increases in funding levels for Farm Service Agency (FSA) direct and guaranteed loans. Good: the final bill increases funding to $3 billion for FSA direct loans and $7 billion for FSA guaranteed loans for 2019-2023. Many of these important provisions are taken from legislation that was sponsored by Maine Congresswoman Chellie Pingree and Maine Senator Susan Collins. We are very grateful to all of Maine’s congressional delegation for their efforts to create a farm bill that works for Maine agriculture, and to all of you who shared your voices with your delegates! While much of this Farm Bill is a step in a positive direction, there are many challenges ahead. You can help shape the future for farming by making a gift to support our work in Maine! Give here. 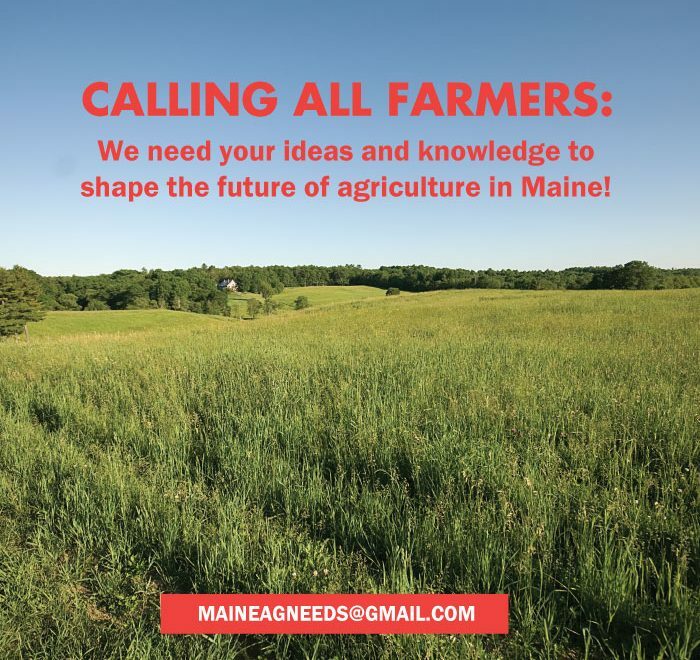 Farmers throughout the state are invited to share their thoughts about what is needed to grow Maine agriculture. 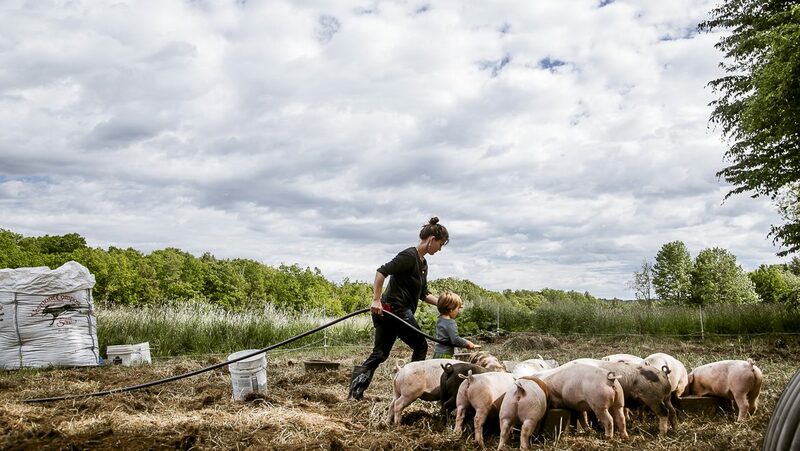 A group of organizations dedicated to supporting Maine farms are convening farmer engagement sessions to develop an assessment of farmer needs and priorities. The convening organizations want to know how state government and other service and education providers can better support Maine’s farming community. 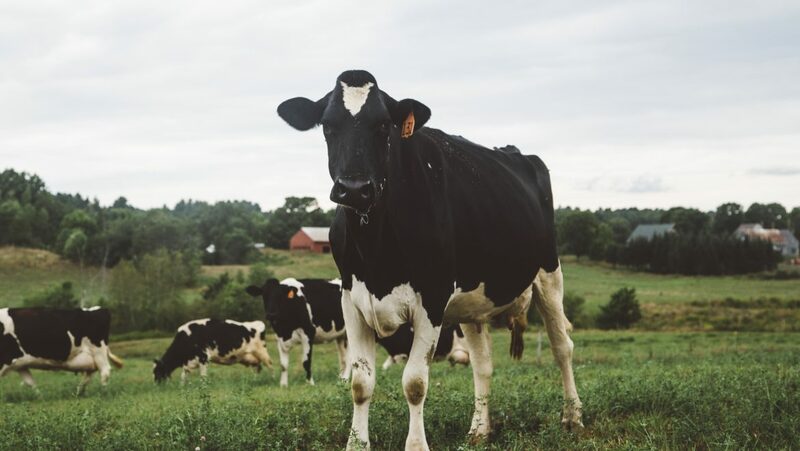 The assessment will be used to inform state government, encourage state-level policy that works for Maine farmers, and guide program development for service and education providers supporting farmers and Maine’s agricultural economy. Farmer engagement sessions will be held at University of Maine Cooperative Extension offices in Skowhegan, Ellsworth, Lisbon Falls, Falmouth, Presque Isle, and Waldoboro, and at the Agricultural Trades Show in Augusta. A remote option and online survey will also be available. The hope is that many farmers will be able to participate. SKOWHEGAN, Nov 27, 10am-12pm, 7 County Dr.
ELLSWORTH, Nov 30, 9:30-11:30am, 63 Boggy Brook Rd. LISBON FALLS, Dec 6, 9:30-11:30am, 24 Main St.
FALMOUTH, Dec 11, 3-5pm, 75 Clearwater Dr.
PRESQUE ISLE, Jan 8, 10am-12pm (Snow Date Jan 15, 10am-12pm), 57 Houlton Rd. WALDOBORO, Jan 10, 10am-12pm (Snow Date Jan 30, 10am-12pm), 377 Manktown Rd. Webinar, Nov 27, 7-8pm – must RSVP for link to join. This effort is being coordinated by: AGCOM, CEI, Cooperative Extension, MFT, Maine Food Strategy, MOFGA, and Maine Sustainable Agriculture Society. Visit sites.google.com/view/maineagneeds or email maineagneeds@gmail.com for more information about a webinar and online survey. Next Tuesday, November 6 is election day! 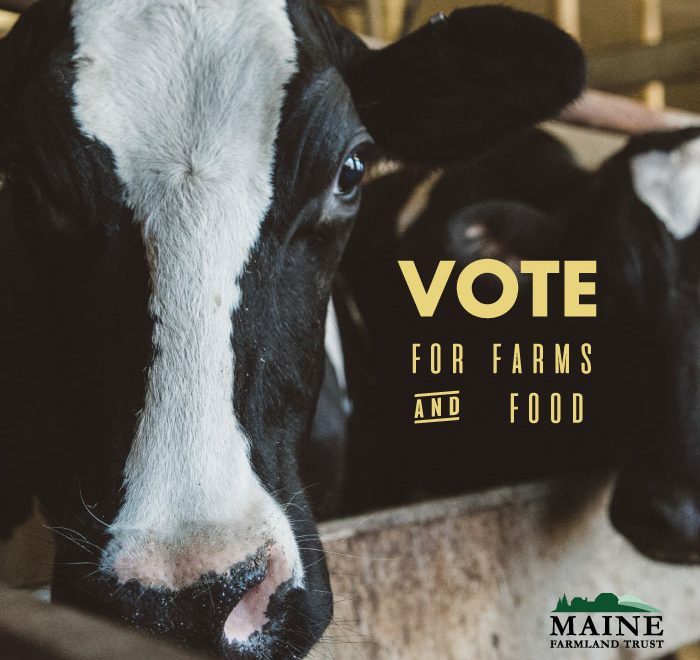 Get out and vote for candidates that support Maine farms and food. Elected officials at all levels have a significant impact on agriculture in our state. Read up on candidates and issues in your area. Learn what ranked choice voting means for this election. 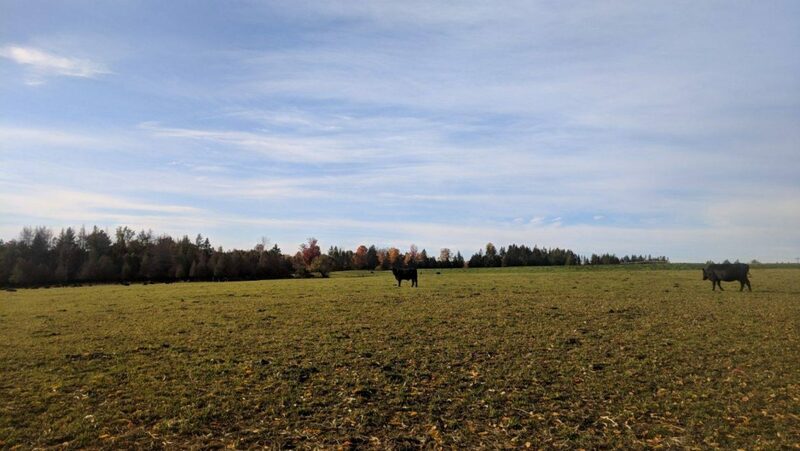 On October 16th and 18th, MFT staff, Board members, and supporters spoke out about the importance of farmland protection in Maine at public listening sessions held in Portland and Bangor. The listening sessions were organized by the Task Force to Shape the Next Generation of Maine Land Conservation, which is a group of twenty diverse individuals and organizations that was formed to evaluate land conservation efforts in Maine and make related policy and programmatic recommendations. During the discussion, important points were raised about the threat to farmland from development pressure and succession issues, the importance of farmland protection to support the agricultural economy in Maine, and the need for increased funding for and administrative changes to the Land for Maine’s Future Program to make the Program work better for farmland protection. The Task Force is in the process of developing a set of findings and recommendations that can serve as a blueprint for future land conservation initiatives. If you were not able to attend one of the public listening sessions, you can still share your thoughts HERE.